Agaléga (French: îles Agaléga) are two Outer islands of Mauritius located in the Indian Ocean, about 1,000 kilometres (620 mi) north of Mauritius island. The population of the islands as at July 2011 was estimated at 300. The islands have a total area of 2,600 hectares. The North island is 12.5 km long and 1.5 km wide, while the South island is 7 km long and 4.5 km wide. The North Island is home to the islands' airstrip and the capital Vingt Cinq. The islands are known for their coconuts, the production of which is their main industry, and for the Agalega day gecko. There are three different explanations for the name Agaléga. One hypothesis is that the Portuguese explorer, Dom Pedro Mascarenhas, named Agaléga and the island of Sainte Marie (off the east coast of Madagascar) in honor of his two sailboats, the "Galega" and the "Santa Maria" in 1512, when he discovered Mauritius and Réunion Island. Another, more probable explanation relates to the Galician explorer João da Nova, who discovered the islands in 1501 while working for the Portuguese. João was popularly known by his sailors as João Galego, according to Jean-Baptiste Benoît Eyriès' Les Nouvelles Annales de Voyage (Volume 38, page 88). Galego is the Galician/Portuguese word for someone from Galicia, North West Spain, and "Agalega", is derived from the feminine version of this ("A" is the feminine article in Galician/Portuguese, and "Island" is feminine, so "A Galega" means "The Galician (Island)"). A further idea comes from a story in Sir Robert Scott's book Limuria: The Lesser Dependencies of Mauritius, where he describes the 1509 discovery of the Islands by the Portuguese mariner Diogo Lopes de Sequeira. According to this version, Diogo named the Islands Baixas da Gale, with the "da Gale" referring to putative gale-force winds hypothetically modelling the coasts of both islands. Scott suggests that maps of the region represented the islands initially as Gale, metamorphosing into Galera, Galega and finally Agalega. As with the Mascarene islands, they may have been known to Arab and Malay sailors, although no written records have been found to confirm this. The first settlement on the islands was founded by M. de Rosemond. Upon his arrival in August 1808, he discovered the bodies of two castaways and a bottle containing notes written by one of them, the privateer Robert Dufour. The only mountain on the islands, Montagne d'Emmerez (in reality no more than a hill), derives its name from the second wrecked sailor, Adelaide d'Emmerez, a Mauritian. Economic, infrastructural and political development of the islands didn't begin until the arrival of Auguste Le Duc in 1827, a French administrator sent by M. Barbé to organise production of coconut oil and copra. There still exists a number of historical monuments dating from the period 1827 to 1846, made by slaves: the village Vingt-Cinq (named after the 25 lashes that were given to rebellious slaves), the Slave Dungeons, an Oil Mill, a cemetery for Blacks and a cemetery for Whites, among others. Auguste Le Duc also began construction of a bridge between the two islands, although it was swept away by severe weather. Father Victor Malaval brought the Catholic Church to the islands in 1897 as the first missionary. An improvised chapel was built on the South Island. The origin of inhabitants has been highly influenced by the political situation in the world in the nineteenth century (Mauritius, which passed to the English in 1810, the abolition of the slave trade, abolition of slavery in 1835, and the arrival of coolies (unskilled Asian labourers)). The slaves themselves were of Malagasy origin, or from Madras in India, while some were freed from slaving ships while others were from the trading ports of the Comoros Islands. Legends such as "Calèche Blanc" and "Princesse Malgache" are part of the folklore of the islands, as well as the coded language of "Madam langaz Seret" which has come down from the time of slaves. This language is a mixture of French and Mauritian Creole where every syllable is doubled with the first consonants replaced by the "g" (e.g. "Français" becomes "frangrançaisgais"). The origin and purpose of this language remains unclear. Today, the population consists of around 300 people, known locally as Agaléens, who speak Creole. Catholicism is the dominant religion. North Island is 12.5 kilometres (7.8 miles) long and 1.5 kilometres (0.9 miles) wide while South Island is 7 kilometres (4.3 miles) long and 4.5 kilometres (2.8 miles) wide. The total area of both islands is 26 square kilometres (10 square miles). The soil is likely coral. The culmination is at the top of the hill Emmer on the island in the north. The climate is hot and humid and the average annual temperature is 26 °C (79 °F), ranging from a minimum of 22.5 °C (72.5 °F) and a maximum of 30.6 °C (87.1 °F). April is the hottest month of the year. The tropical climate is conducive to the development of mangrove and coconut trees that cover the two islets. 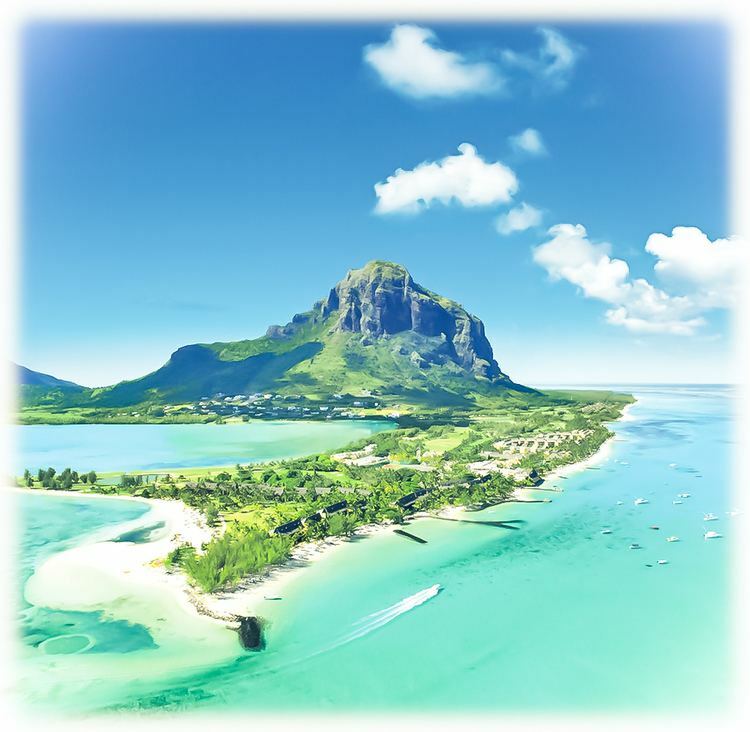 Agaléga is managed by a company of the State of Mauritius, the Outer Island Development Company (OIDC), a company which develops remote islands. The company delegates a Resident Manager, a kind of steward, who is the supreme authority on the two islets. The economy of the archipelago is based primarily on the exportation of coconut oil. Most homes are in the main villages of Vingt-Cinq and Les Fourchettes on the North Island, and St. Rita on the South Island. The road connecting the different localities is sandy and coral. The North Island is home to an airstrip, a government primary school "Jacques Le Chartier", the police station, the weather station, the central telecommunications office (Mauritius Telecom) and the health service. There is no running water on the island. Drinking water comes from rainwater collected by gutters. Water for other uses is sourced from wells. Electricity is supplied by generators running on diesel, with supply limited to certain hours. The company that manages the remote islands, such as Agaléga and St Brandon, is working on a project to ensure power supply to these islands, via submarine connection. Agaléga is connected to Mauritius by air and sea. The airstrip on the island in the north allows takeoff and landing of small aircraft. There is no functional port on the islands, only a pier at St James Anchorage on the island's north. Vessels of the Mauritius Shipping Corporation (the Pride Mauritius and the Mauritius Trochetia) cast anchor about 500 metres (1,600 feet) from this place, in the deep sea, during refueling. The health service is provided by a health officer and a midwife. Doctors from Mauritius make short tours throughout the year. The Agaléens also receive a visit from a magistrate during the year. 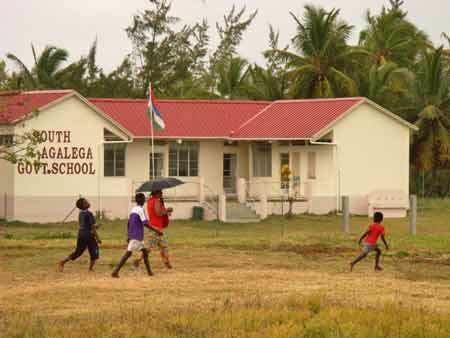 For education, there is a primary school for the young, but pupils then continue their education in secondary schools in Mauritius. 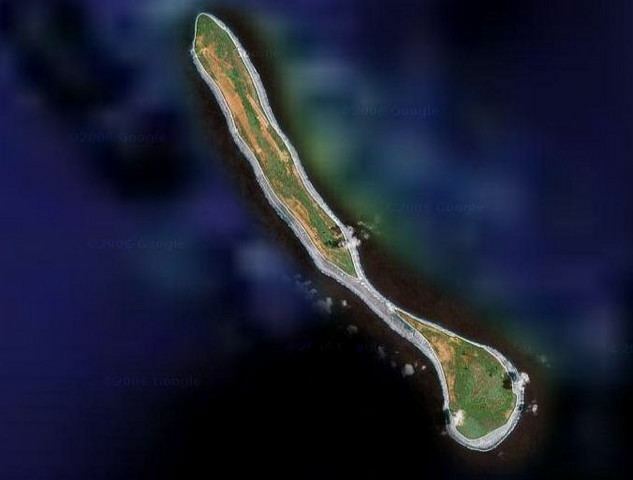 India to develop strategic assets in this islands. India signed an MoU with Mauritius for setting up and upgrading infrastructure for improving sea and air connectivity for Agalega which will go a long way in ameliorating the condition of the inhabitants of this remote Island. These facilities are also expected to enhance the capabilities of the Mauritian defense forces in safeguarding their interests in the island.